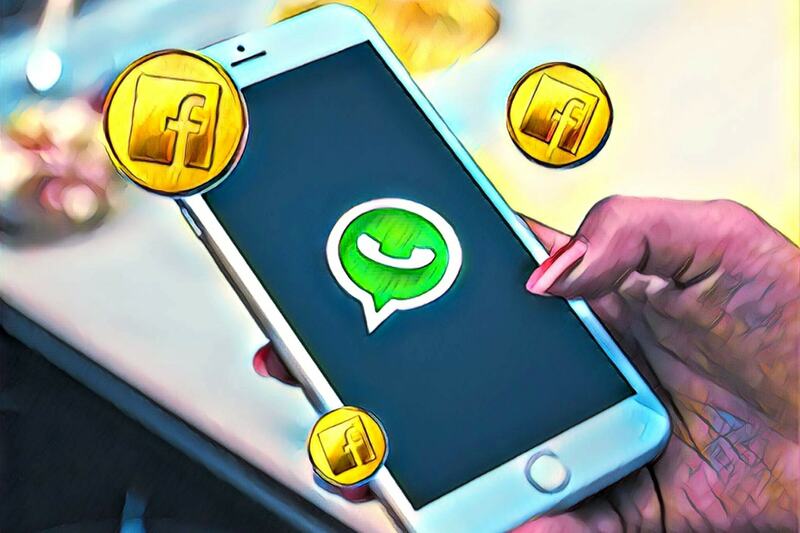 Facebook, the Western world’s leading social media platform with over 2.5 billion active users, is developing a cryptocurrency that will let users transfer money over its WhatsApp messaging app. This is according to sources familiar with the matter, and was reported by Bloomberg. WhatsApp is a cross-platform messaging and voice-over IP service that allows users from anywhere in the world to send text messages, voice calls, video calls, images, and other media. The app is very popular and has nearly 2 billion active users around the globe. Now, in an effort to ramp up the app even more, Facebook wants to enable the sending and receiving of payments through their soon-to-be launched stablecoin cryptocurrency. According to sources, the implementation of Facebook’s cryptocurrency on the app will first focus on the remittances market in India. This is because WhatsApp has over 200 million active users in India, and the country is the world’s leader in remittances, with emigrants sending over $69 billion home to India in 2017. Facebook has long been expected to enter the financial services market, as back in 2014, the social media giant hired former PayPal president, David Marcus, to run its Messenger app. Marcus later became the head of the company’s blockchain initiatives in May 2018, and he now leads Facebook’s blockchain group, which is comprised of about 40 people after a major hiring spree in 2018. As for the launch date of Facebook’s highly anticipated stablecoin, the company has yet to divulge any dates, but as previously reported by IIB, Facebook employees purportedly told exchanges that they can expect the coin to be released in the first half of 2019. What kind of impact will Facebook’s stablecoin have on the overall cryptocurrency market? Will it deem other cryptos unnecessary or will it contribute to the adoption of all cryptos? Let us know what you think in the comment section below. XRP Breaks Back Above $0.34 After 12% 3-Day Price Surge – Where Is the Price Heading? Jeremy is a financial writer and aspiring investor. He is also a cryptocurrency enthusiast that’s fascinated with blockchain technology and the financial markets. When he’s not researching and learning about cryptocurrency, he’s traveling the world with his dog and girlfriend.